Valeska Soares: Any Moment Now brings together forty-nine artworks, consisting of installation, sculpture, photography, and video, dating from the early 1990s to the present. A distinctive figure in the international legacy of installation art, Soares interweaves themes of love, desire, memory, and time in her minimal, conceptual, and multi-sensorial bodies of work. 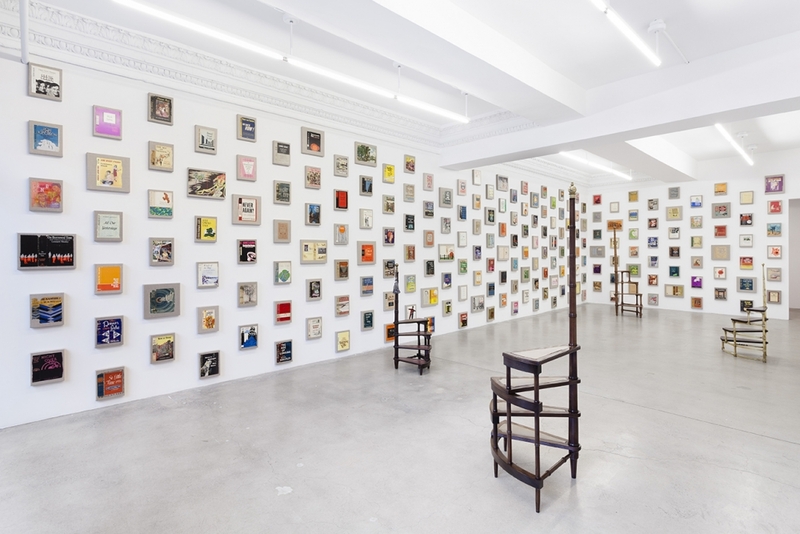 Sourcing collected and found objects, such as books, light fixtures, antique stools, carpets, mirrors, anonymous portrait paintings, and even flowers, the artist repurposes such materials, subverting their original use and inviting new meaning. The referent installation, Any Moment Now… (2014), for instance, is a series of 365 vintage dust jackets that are by transformed by Soares into a subjective mapping of a year’s time. The images and titles of each cover, from books such as Long Day's Journey Into Night, The Morning After, and Now or Never, combine together in this installation to generate new and ever-shifting narratives. This exhibition represents the artist’s second survey exhibition (her first, Follies, debuted at The Bronx Museum of the Arts in 2003), her first major solo museum exhibition in the Western United States, and is co-organized by the Phoenix Art Museum, where it will be on view in spring 2018. Valeska Soares: Any Moment Now is part of the major initiative, Pacific Standard Time: LA/LA, a far-reaching and ambitious exploration of Latin American and Latino art in dialogue with Los Angeles taking place from September 2017 through January 2018.